The latissimus dorsi is the largest muscle in the upper body and the widest muscle in the entire body. It acts mainly on the shoulder joint, being the prime mover in both shoulder adduction and shoulder extension (and a strong synergist in internal rotation). Being such a broad muscle that crosses multiple joints, the latissimus dorsi also acts on the scapula, spine and pelvis, to varying degrees. The lats are also part of the Oblique Posterior Subsystem. The left glute work contracts with the right lat (and vice versa) to create tension in the thoracolumbar fascia, through which force is transferred the lower to the upper body. This is seen during the gait cycle, where the left leg and right arm extend back simultaneously. Covering the majority of the back, the latissimus dorsi is part of the superficial posterior axioappendicular (extrinsic shoulder) muscle group. The lat is situated inferior to the teres major and superior to the pelvis. All but a small portion of it is visible from the surface of the body, which lies deep to the lower trapezius. It lies superficial to many muscles, including: the lumbar and thoracic spinal erectors, serratus posterior inferior, and the posterior attachments of the internal/external obliques and serratus anterior. It has a broad origin, with attachments on the lower thoracic vertebrae, thoracolumbar fascia, lower ribs and the bottom of the scapula. The parallel-oriented fibers of the lat travel in a superolateral direction, coming together and spiraling around the teres major before inserting on the anterior proximal humerus. Note: The table below only includes exercises in which the lats are targeted most directly. However, there are many other exercises that work the lats significantly, though less directly. This includes any horizontal row variation (e.g. 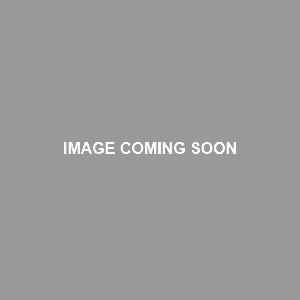 barbell row, one arm row, t-bar row, cable seated row – see more) and the dumbbell pullover. Overactive/Short Latissimus Dorsi: The lats are typically overactive and shortened in people with upper crossed syndrome (UCS) and/or lower crossed syndrome (LCS). The shoulder internal rotation associated with UCS facilitates the lats and the other shoulder internal rotators. Similarly, the excessive lumbar lordosis that characterizes LCS facilitates the lats and the other lumbar extensors. UCS and LCS are often seen together, with the lats being the common link between the two. Overuse from excessive vertical pull exercises (i.e. pull up, lat pulldowns) or bad postural habits (i.e. hunched over using a computer, playing video games, sitting with back arched) can also contribute to lat overactivity. The most common injuries associated with overactive/short lats are shoulder injuries from restricted overhead range of motion and poor shoulder stability. Release and stretch your lats and teres major frequently. Ideally, this be done daily as well as before or after workouts involving back exercises. Reduce training volume on direct lat exercises (i.e. vertical pull exercises). You’ll still hit the lats enough indirectly, with rows, deadlifts, etc., which is fine. Reduce training volume on upper body exercises involving shoulder internal rotation (e.g. bench press, overhead press, pull up). Also, reduce the amount of internal rotation in the exercises you do (i.e. use dumbbells with neutral grip on bench and overhead press; do chin ups or neutral grip pull ups instead of regular pull ups). Increase training volume on upper body exercises involving shoulder external rotation (e.g. cable face pull, cuban press, YTWL variations). If you can’t do overhead press exercises without going into lumbar extension and jutting your head too far forward, then you need to work on improving your your core stability and scapular control by training your serratus anterior, lower trapezius, abs, obliques and deep neck flexors. See this great article by Eric Cressey for more on this. 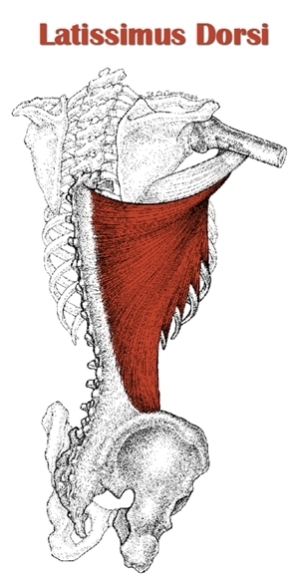 Address the underlying issues that are causing your lats to be tight. 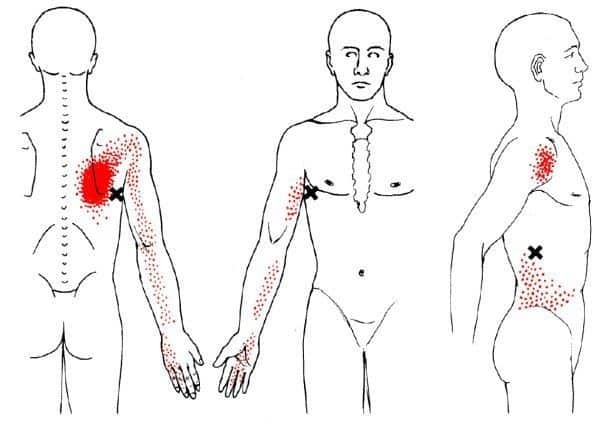 See how to fix upper crossed syndrome (article coming soon) and how to fix lower crossed syndrome (article coming soon). Increase training volume on both lat exercises and row variations (see mid trap exercises for examples). Increase training frequency on these exercises to two times per week (up to three times/week may work well for some people). You shouldn’t completely obliterate your lats and back muscles each session, but your total volume for the week should be greater than it is currently. Learn how to activate your lats. This is a challenge for many beginners, including me when I started lifting. The tendency is to use the arm muscles to do the majority of the work. My advice to do a pullover variation (preferably cable bent over pullover or a machine pullover) with light weight. This is the perfect exercise since you can’t cheat using your biceps strength since your elbows stay in the same position. Focus on feeling your lats contract and tighten up as you draw the weight down. Try to pay attention to how your shoulder blades move, too (see bullet point below). It might take several workouts to get it right, but once you do, you’ll be able to activate your lats in other exercises, too. Dynamic scapular stability is important. That is, you should be able control the position of the scapulae as you go through the movement. For pull ups, chin ups and pulldowns, this means starting with your arms overhead and your scapulae in a neutral position. Start the rep by executing scapular depression, then initiate scapular downward rotation as you pull down through your elbows to draw your arms toward your sides. Use weight that allows the lats to do the majority of the work. If you’re feeling it mostly in your arms, then the weight is too heavy and/or you’re using bad form. Don’t lean back excessively on lat pulldowns. Your torso should be relatively upright, angled back enough to let the bar pass your head and touch the top of your chest. If you’re leaning back too much, then you’re basically doing a row. Don’t cheat by using momentum to get through the range of motion. For pulldowns, avoid using lumbar extension to pull your torso back. For pull ups, avoid swinging your hips and legs. If you find yourself using momentum on most reps, then that’s your cue to reduce the weight. Of course, using some momentum occasionally (i.e. to squeeze out an extra couple of reps on your final set) is okay, and often necessary for progress once you’re past the beginner stage.